Bristol South MP Karin Smyth has organised another apprenticeships fair. In partnership with City of Bristol College, Bristol City Council and the Department for Work and Pensions, the South Bristol Jobs and Apprenticeships Fair 2019 will take place from 11am – 3pm on Thursday 28 February at the South Bristol Skills Academy in Hengrove. After leaving school, Carl started a hair styling apprenticeship at City of Bristol College – working in Cohesion salon in St George with a day a week at college. He now divides his time between the Bristol salon and celebrity events and shoots across the world, including Love Island stars. Carl, who describes himself as ‘a boy from Bristol with a dream’, says: “I always knew I wanted to work with hair. I loved hair from a young age, especially long hair. I didn’t know how to get there but after doing work experience at Cohesion I learned about apprenticeships and then I found out more at college events (like the apprenticeships fair). “I chose the apprenticeship because there was more practical and actual salon time, so I learnt a lot more about the environment. I looked forward to college and seeing my friends once a week – it wasn’t too much and it was never going to get boring; and I was earning money, which was new to me and a change from school. “Secondary school was hard. I was picked on for wanting to do hair. When I chose Cohesion for my work experience other boy students found out and called me names, but I’m so glad I carried on. Since I finished my apprenticeship, I went on to win numerous competitions – including Hairdresser of the Year 2015. I now work with celebrities, travelling all over the world to style hair for photoshoots for magazines like Hello and events such as London Fashion Week. “Becoming a celebrity hairstylist known for my hair skills is amazing. I’ve got to work with TV stars from Keeping Up With The Kardashians and was taught how to make my famous wigs by Kylie Jenner’s wigmaker Tokyo Stylez. I’m going to keep setting myself goals to become more well-known and to become my own brand. There are no limits. When university graduate Jacob was looking for a meaningful career, he turned his attention to apprenticeships. The 32-year-old joined Expeditors International shipping and logistics company in Avonmouth as an Apprentice Air Export Agent in 2015. 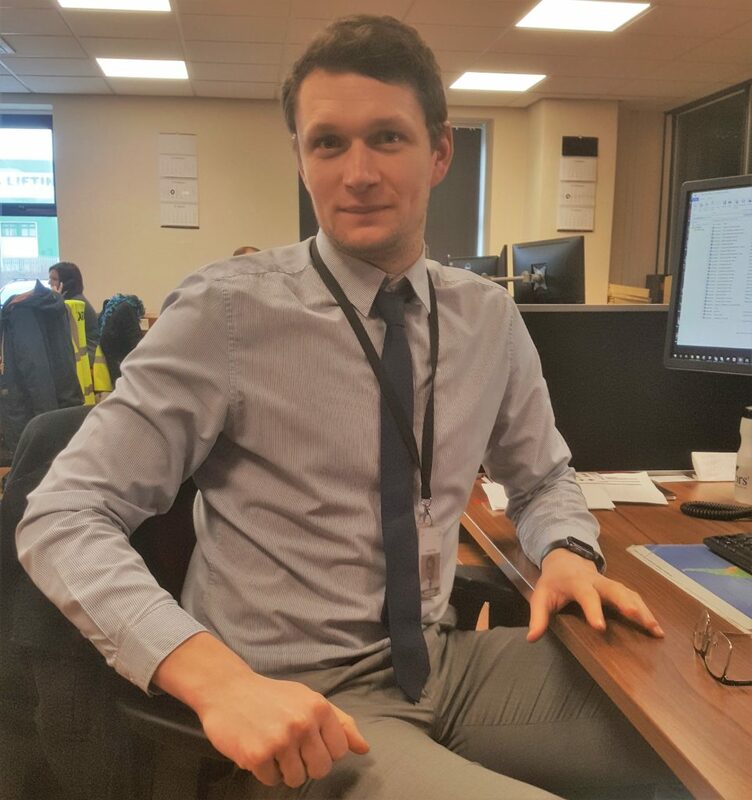 His Association of Accounting Technicians (AAT) Level 2 apprenticeship has seen him progress from working on operations into finance and accounting, covering areas such as billing, invoicing, quoting and pricing. This is the direction he hopes to follow in his newly-forged career. “Returning to college gives me good boost of confidence,” explains Jacob, who graduated from Jagiellonian University in his home country of Poland in 2011. “That constant development is necessary for everyone. There are so many skills that may become helpful in a future career, and in life generally. “I am a university graduate, but some university programs are very generic or too abstract to provide a good start; whereas attending a professional course can equip you with the exact knowledge and skills which are essential for undertaking a specific job. “Combining work and studying is already a part of success. I am glad that I am passing exams and developing knowledge that matches with the matters dealt with at my workplace.